Applications: Cutting ceramic tiles and floor quarry tiles. Using wet tile cutting saws or small angle grinders (115mm). These blades are ideal replacements for the discs normally supplied with the wet cutting tile saws. We have sizes to fit most wet tile saws from 110mm upwards, but if you don't see your size listed here please contact us as we may be able to provide alternatives or fit the bore with a reducing adaptor. Sizes to suit most tile cutting saws (check size, especially centre bore). Continuous rim for smooth cutting. For wet use, although sizes 110 and 115mm can be used dry on angle grinders. Professional duty with good diamond concentration. Also Available: For fast cutting of porcelain tiles, we suggest upgrading to Tile Slysa Turbo Premium Diamond Blades. 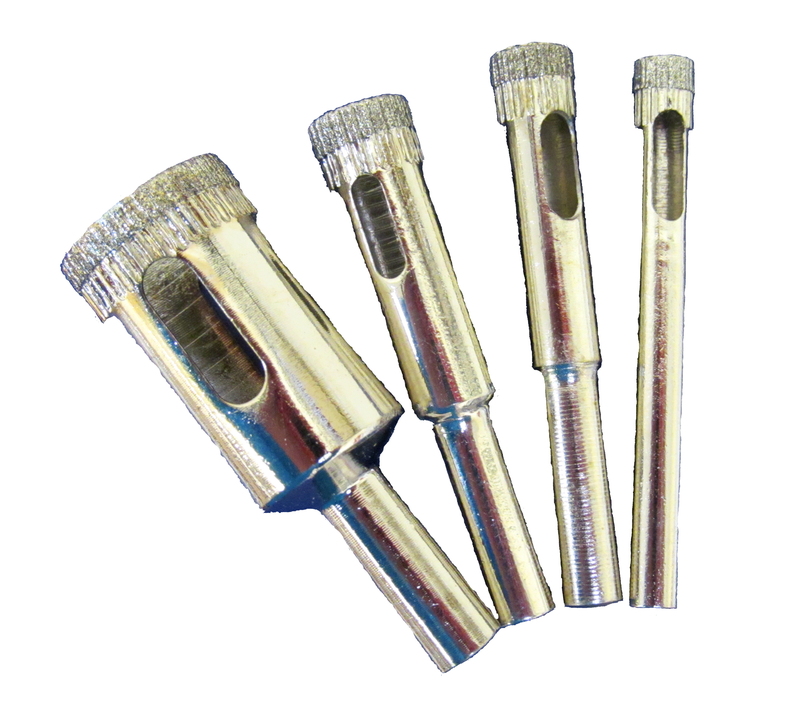 We offer exceptionally good value electroplated diamond drill bits for ceramic and quarry tiles. 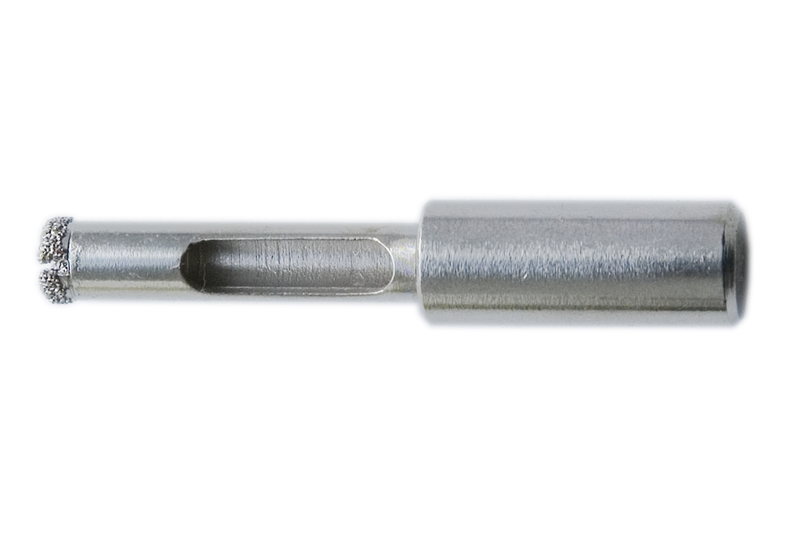 These diamond tipped drills are designed to provide an economic and neat solution to drilling ceramic and glass tiles. Vacuum brazed diamond puts plenty of premium diamond at the cutting rim. Suitable for all grades of porcelain.